Steven (Chicagoland, United States) on 18 January 2017 in Business & Industry and Portfolio. 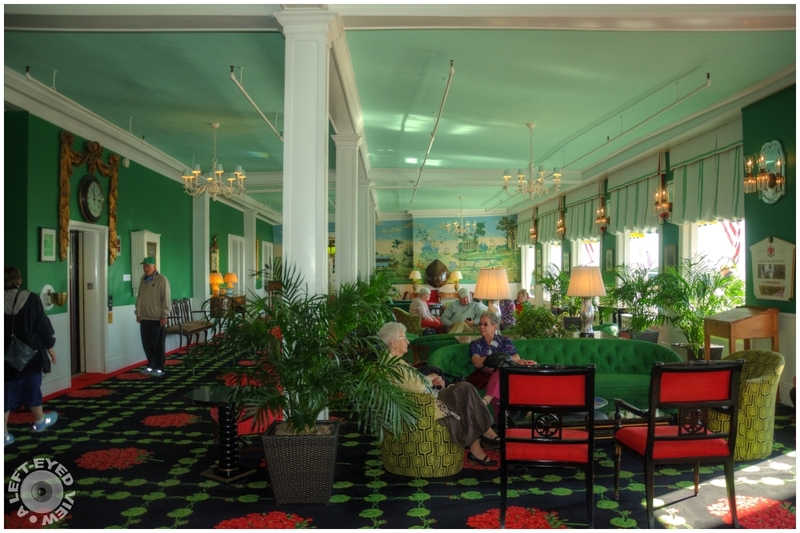 This is one half of the Parlor at the Grand Hotel on Mackinac Island. The other half is just as long. The Parlor overlooks its long porch which overlooks the gardens. The Grand Hotel is a historic hotel and coastal resort on Mackinac Island, Michigan, a small island located at the eastern end of the Straits of Mackinac within Lake Huron between the state's Upper and Lower Peninsulas. Constructed in the late 19th century, the facility advertises itself as having the world's largest porch. The Grand Hotel is well known for a number of notable visitors, including five U.S. presidents, Russian presidents Vladimir Putin and Dmitry Medvedev, inventor Thomas Edison, and author Mark Twain. This is even more impressive than I expected. La décoration est tellement américaine, dans chaque pièce! @Anne: Eh bien, c'est aux États-Unis! Yeah, they look relaxing. Nice place. Un bel endroit très calme ! Beautiful.... very colorful! Lots of light for a bright & cheery room. I enjoyed! Beautiful color and decoration in this hotel parlor Steven. Superb colour tones captured here, Steven, and I love the natural light. Excellent interior photography. This room is very impressive. I'd like to see the large porch they claim. A grand looking room. The colors are vibrant and the mood comfortable. A lovely image of this spacious interior. Impressive. Superb composition with splendid colors . Impressive dimensions, great perspective that shows how vast this parlour is! It certainly is a beautiful place. I love the different shades of green. The room is so exquisitely decorated. I would love to visit there! The presence of abundant natural light enhances the place. The colors are vibrant and the mood seems to be comfortable.